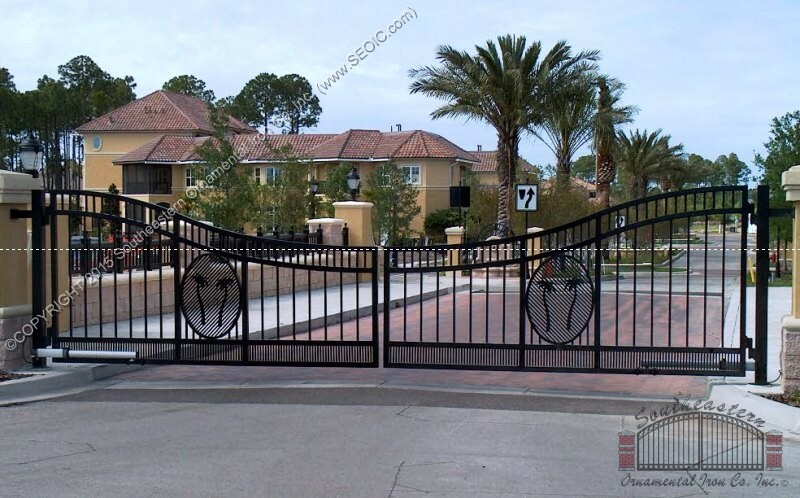 Custom Aluminum Walk Gates built to fit every application. 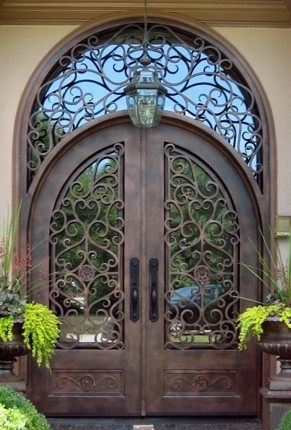 All of our gates are designed to fit every unique opening. 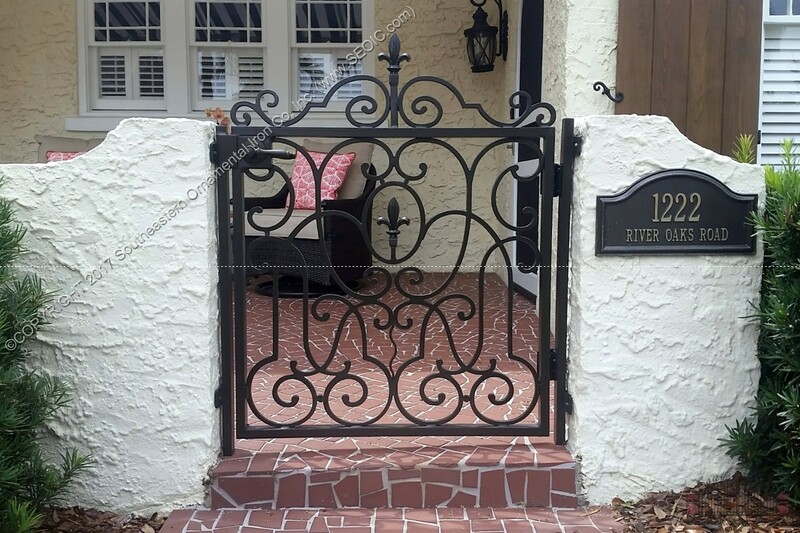 We offer many options for our walk gates such as, leversets with dead bolt lock included, custom made latches, self closing hinges, and countless color options and designs to choose from. 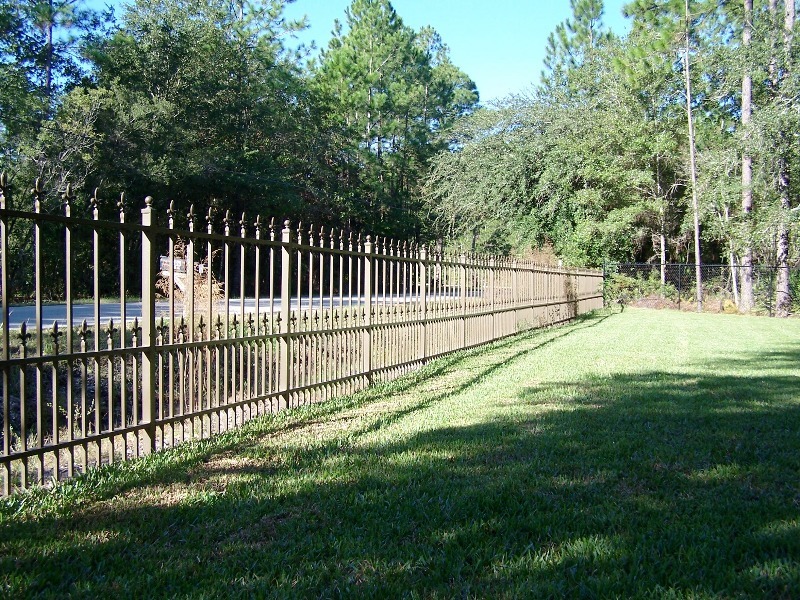 Custom made Trellis's for residential or commercial applications. 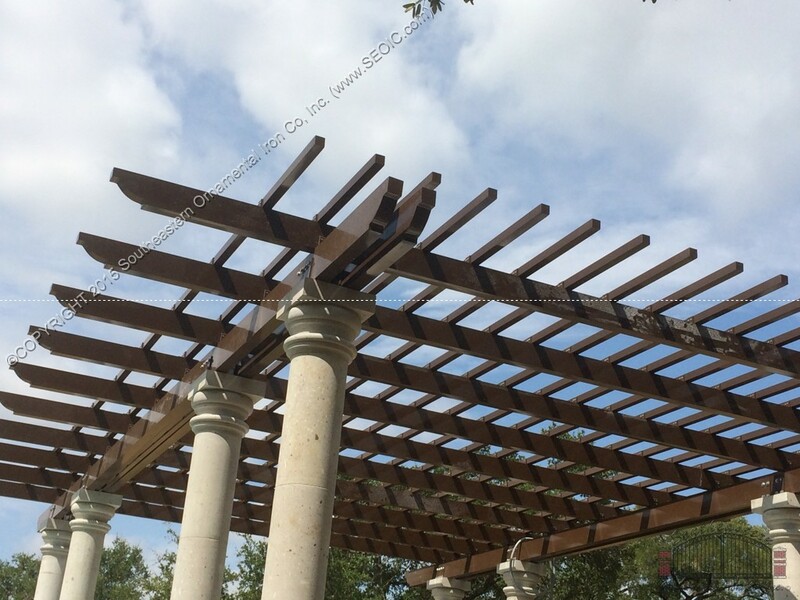 This particular trellis was built and shipped as a kit so our customer could install it themselves. The finish is powder coated aluminum. We also added a water feature trough built into the main beams. 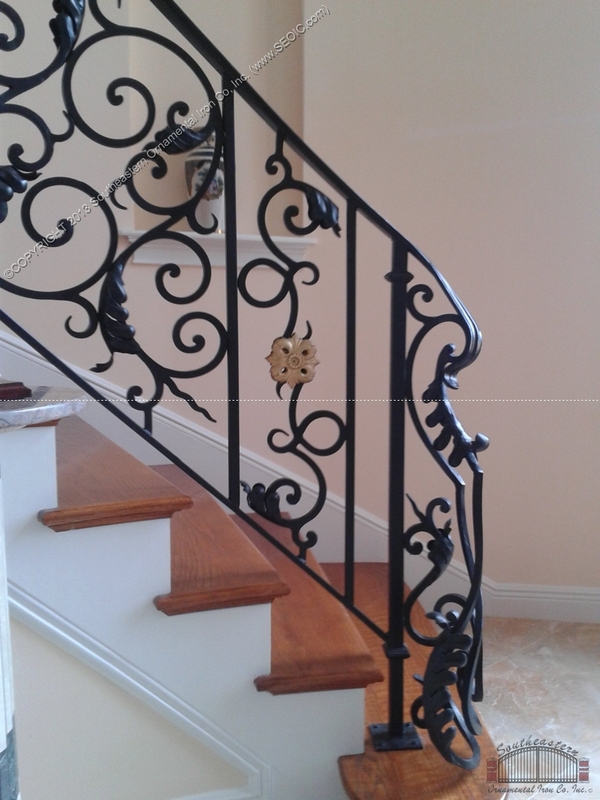 Custom Winding Wrought Iron Stair Railing with black finish and gold painted rosettes. All of our products are built and installed locally as well as built and shipped worldwide. 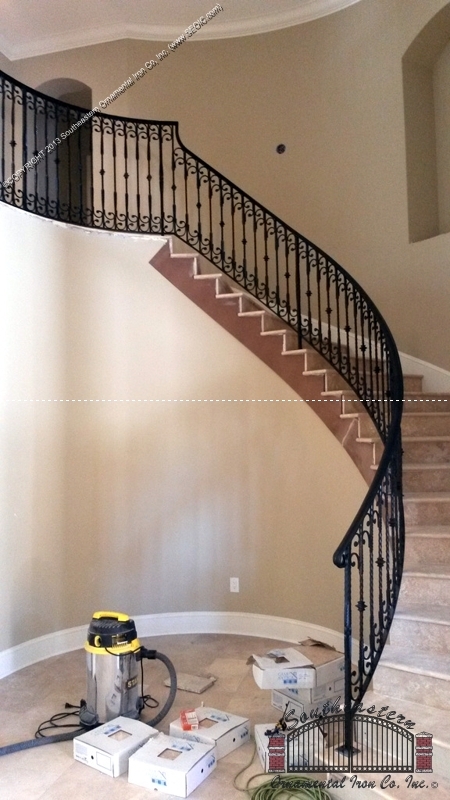 Custom Winding Wrought Iron Stair Railing with dark bronze finish. All of our products are built and installed locally as well as built and shipped worldwide. 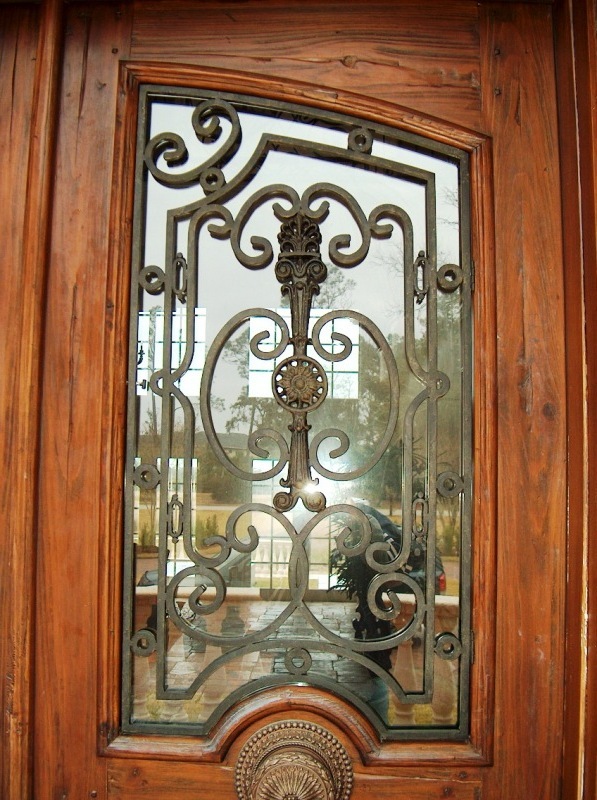 Radius front porch railings made of aluminum, wrought iron, bronze and stainless steel. 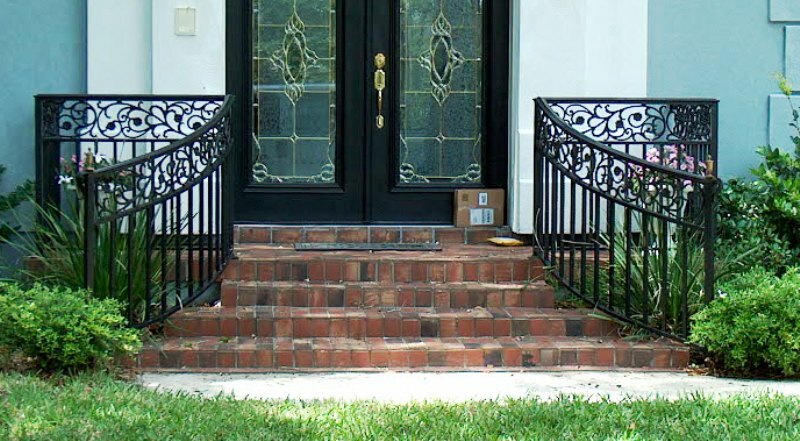 Our porch railing are made to fit every application. We have many options to choose from. 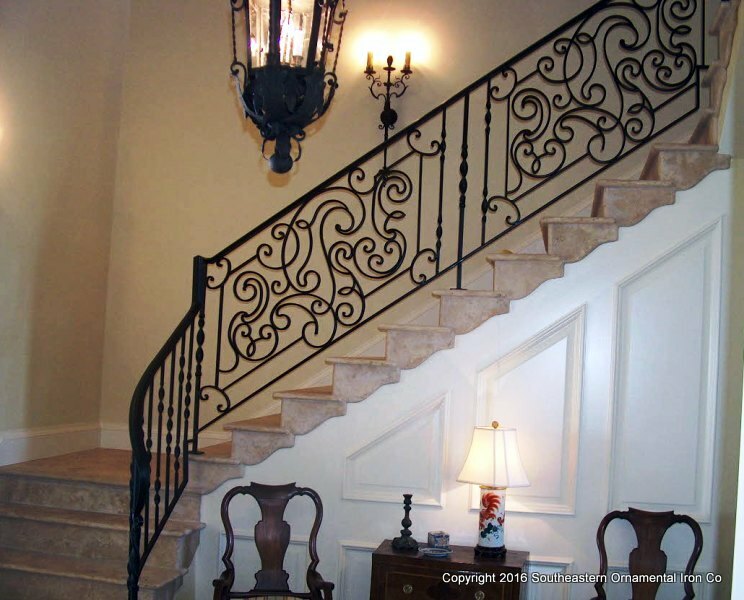 This design is referred to as the "Olde and Beautiful"
We work hand in hand with architects, interior designers, builders and individuals in order to achieve the perfect look as well as ensuring local code requirements are met. The finish on this railing is a custom hand finish. 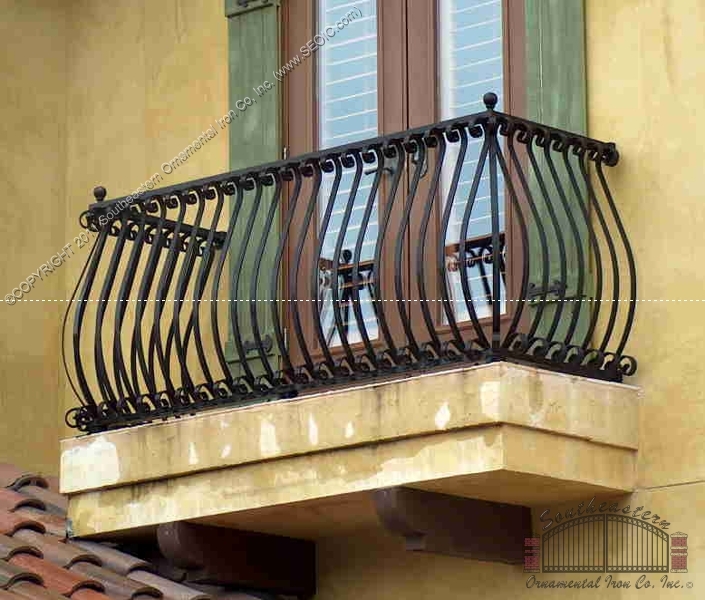 All of our “True Balconies” are custom made. You may choose from our line of pre-designed styles or we can create a unique design to suit your taste. 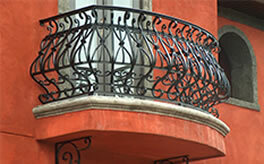 These balconies are made of aluminum so they will last a lifetime. Our balconies have really played a big role in reducing the cost of construction by eliminating the costs associated with constructing a balcony and waterproofing it. 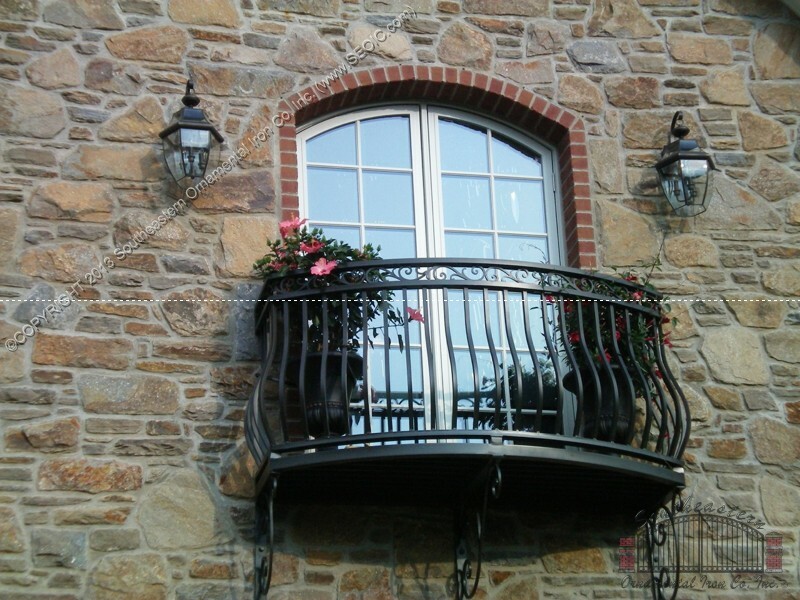 By using our balconies their customers get a decorative upgrade that is fully functional as well as providing an outdoor experience that may not otherwise have been possible. 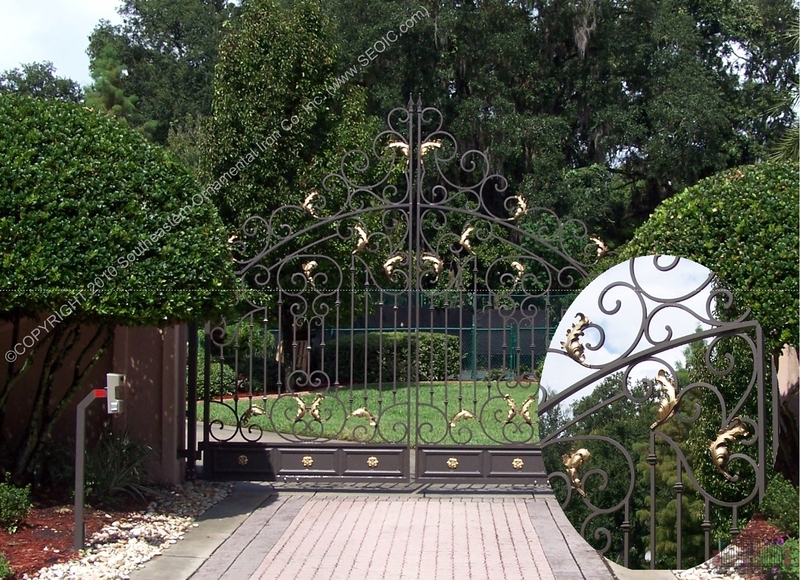 Our Custom Driveway Gates are of the highest quality on the market. 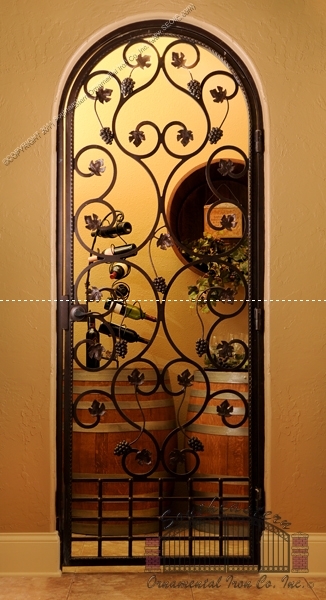 They are manufactured in heavy gauge aluminum making them a lifetime product. Because our products are custom made, we can achieve any imaginable design and application. 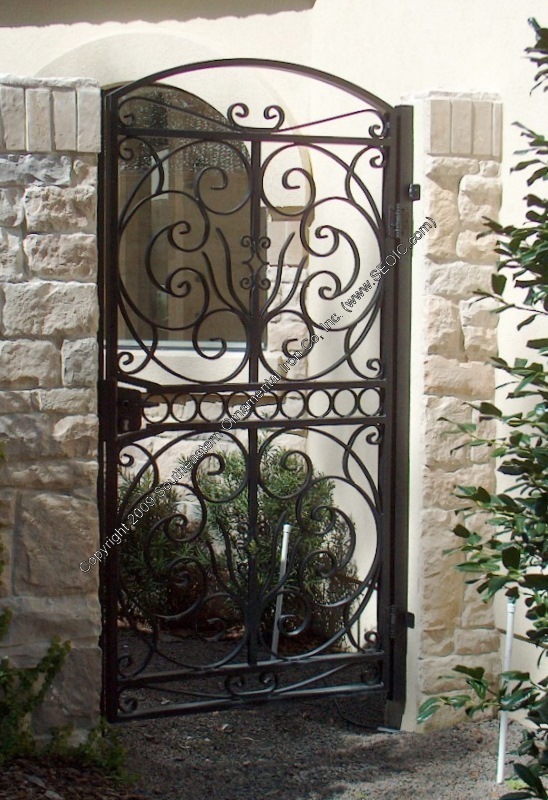 We do build iron gates upon request although we highly recommend aluminum. 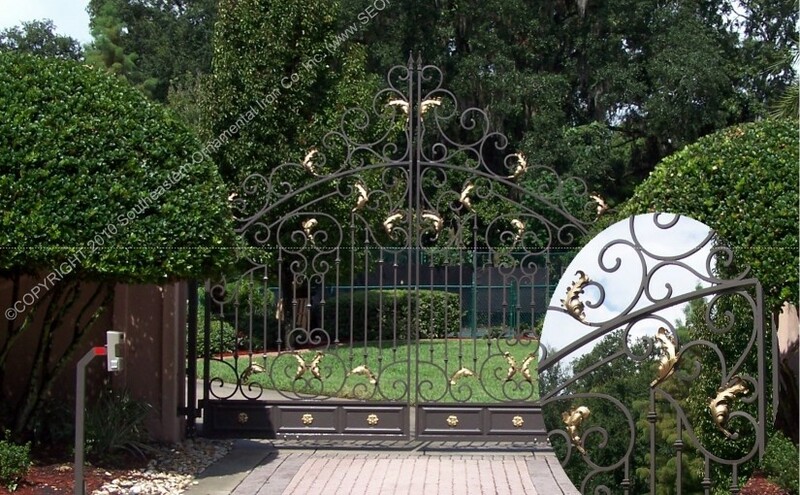 Our Driveway Gates are built for Residential, Commercial, and industrial applications. 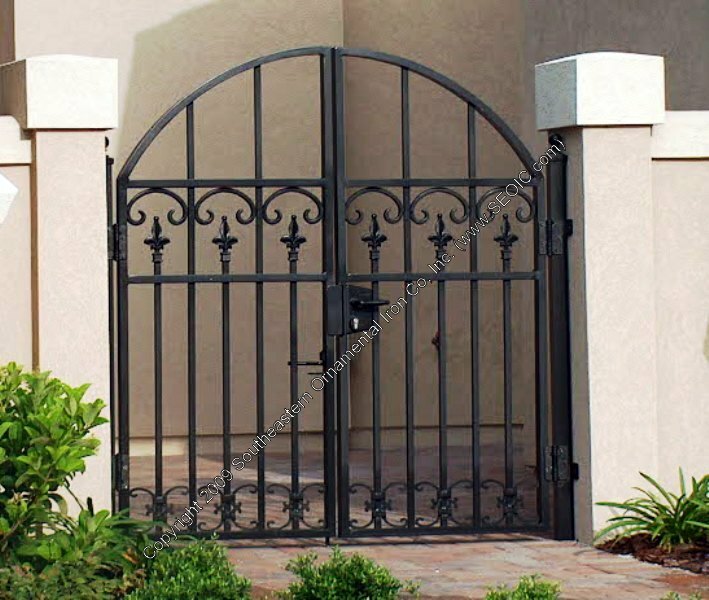 Gate styles include: Swing Gates, Slide Gates, and Cantilever Gates. 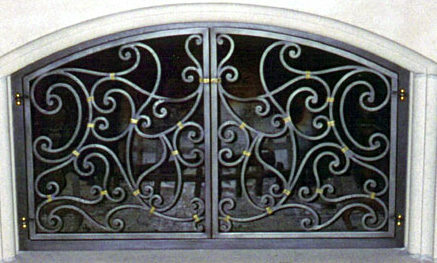 Custom Wrought Iron Fireplace Screens built to fit your application. 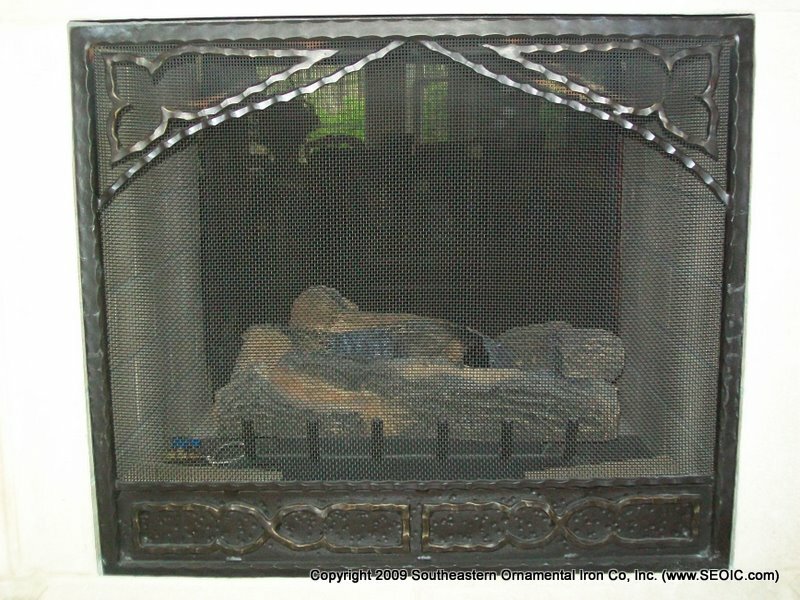 Our screens are built as gates with hinges and latches as well as built to sit on mantle. As with all of our products, We provide many finish options. 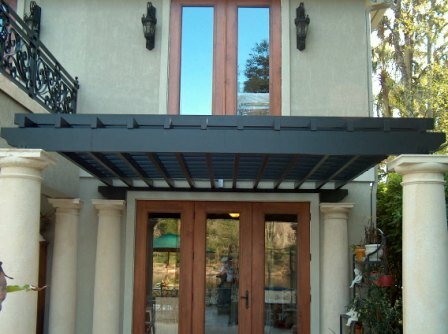 Custom built false balcony rails to fit your application. Planter shelves and planter rings may be included upon request. 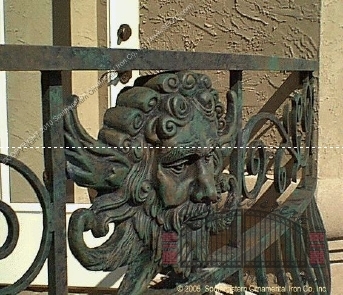 Custom balcony railings built to fit each and every application. 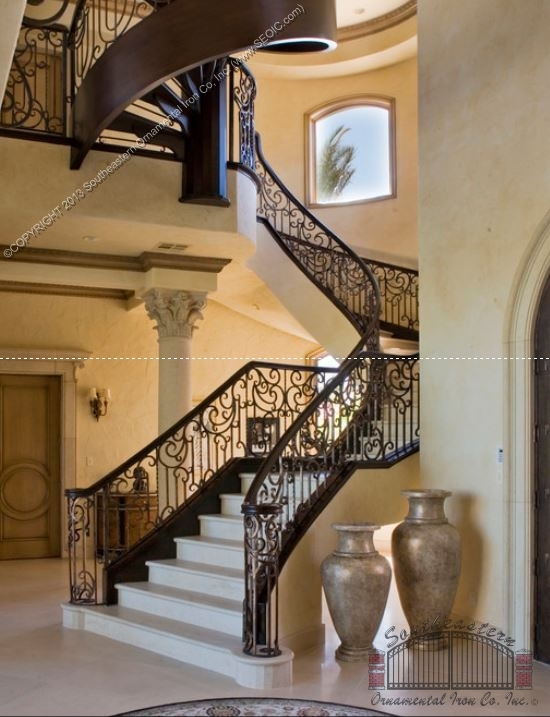 Our wrought iron stair railings add the elegance every home or business needs. 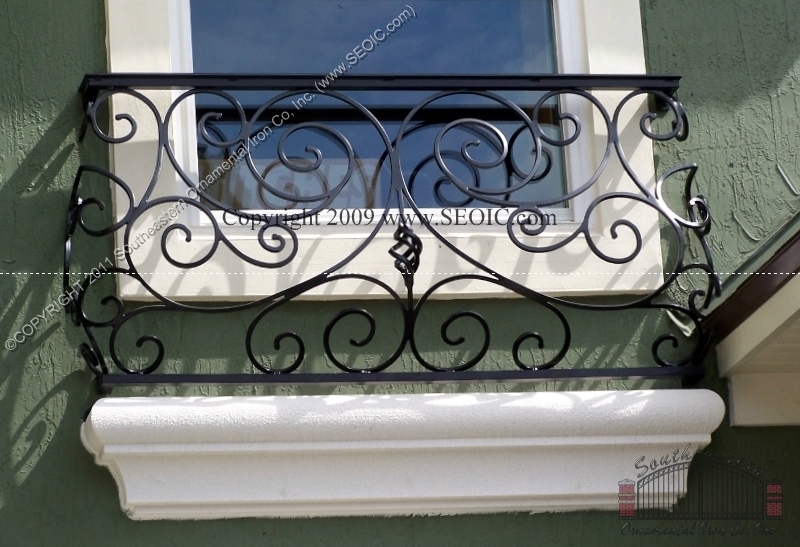 Our “True Balconies” are the highest quality balconies on the market. Manufactured in aluminum making them a lifetime product. Our process is as follows: . Upon receiving a quote request we will provide you with an estimate. If you would like for us to move forward with your project , We require a signed estimate and a deposit. If necessary, we will request specific measurements (You may use our measurement guides for help with this). We then will provide you with a detailed to scale drawing for your review. We will make any changes that you may require and that is feasible. Once we have provided you with an acceptable drawing, We require the drawing to be signed and sent back. At this time your project will go into our fabrication Que. 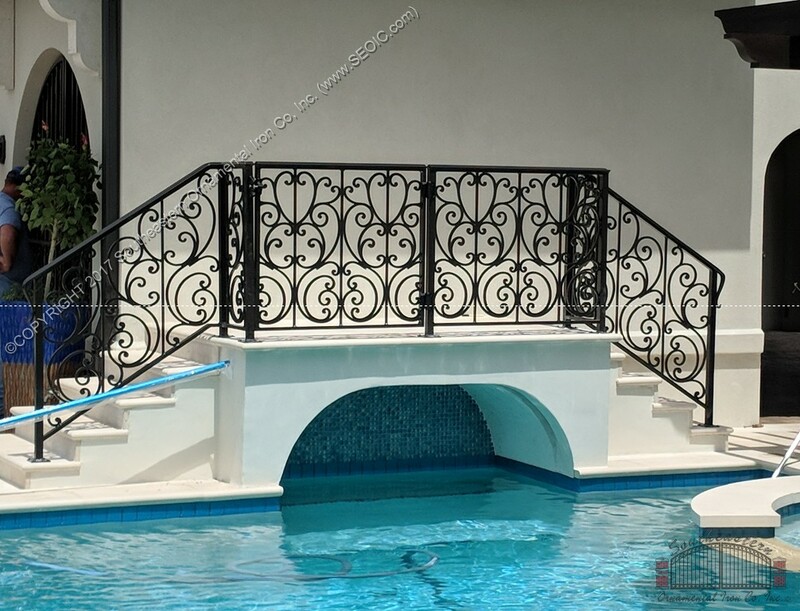 Custom Aluminum Powder Coated Step Railing at Pool. This railing is made of all aluminum. It is powder coated Dark Bronze and also has a gate that opens a full 180 degrees so the the children can jump into pool.